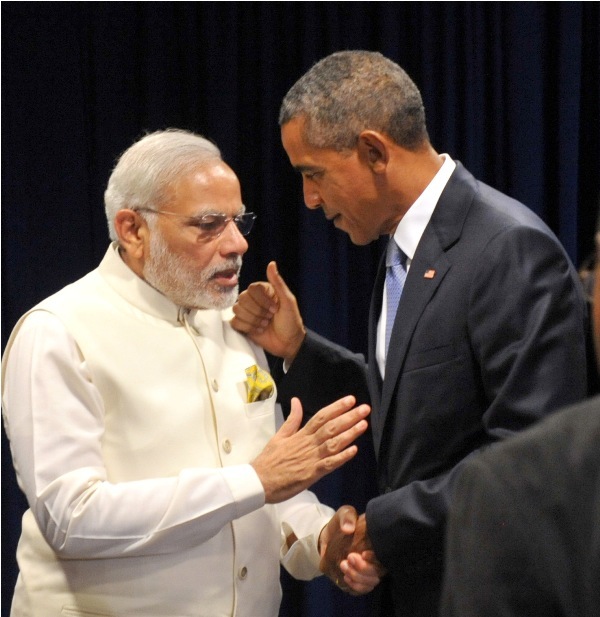 Indian Prime Minister Narendra Modi’s recent bonhomie with the US could yield a positive result for both countries. In a new development, the two sides have indicated that the dispute over domestic content requirement (DCR) in India’s solar mission could be resolved over talks. In September 2015, the World Trade Organization (WTO) had ruled against India stating that DCR violated international rules of import. India had appealed against the decision and WTO was expected to give a decision on the matter this week. But with indications of a resolution, the decision may be delayed. The US filed a complaint against India in February 2013 (and again in February 2014) alleging that the DCR mandate in Indian guidelines discriminates against US exports. Under DCR, it is mandatory that both solar cells and modules used in a power plant are manufactured in India. The US asserted the DCR contradicts three separate agreements reached at WTO. DCR is only a small part of the 100 GW target set by India and doing away with the mandate will not cause a huge dent to the Indian market. DCR has also failed to boost the local manufacturing sector in India. At the same time, the US has not made a positive contribution to solar development in India either. In Phase I of Jawaharlal Nehru National Solar Mission (JNNSM), US Exim Bank and the Overseas Private Investment Corporation (OPIC) had offered low-interest loans to Indian solar project developers on the condition that they buy equipment, solar panels and cells from US companies. This distorted the market in favour of American companies. Condemning the US’ complaint last year, Chandra Bhushan, deputy director general of Delhi-based non-profit Centre for Science and Environment, said, "The US has been dumping subsidised solar power panels in India. It is browbeating India to further the interests of its own solar companies. It is the US which should be made answerable at the World Trade Organization." The manufacturing capacity of Indian solar cells and modules is limited to 1,386 mega-watts (MW) and 2,756 MW respectively. But a capacity of only 297 MW for cells and 1,304 MW for modules is under operation. The underutilisation of capacity is attributed mainly due to the influx of Chinese cells and modules, thereby creating a low demand for indigenous commodities. Modi’s visit to China last year had promised an increase in solar manufacturing. It resulted in three MOUs being signed between Chinese and Indian companies to build manufacturing capacity within India. The possibility of a resolution of the India-US dispute will further benefit the renewable energy sector in India as well as the US, apart from cementing relations between both countries.